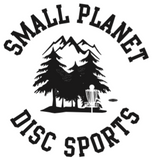 Guts is one of the team events in the flying disc sports. It is played by two teams of five players each. The official disc of the game is the Pro model Frisbee disc. The playing field consists of two parallel goal-lines 15 m in length and 14 m apart. The teams stand in line opposite each other. Each team defends a goal- line. The disc is thrown back and forth between the teams. The object is to throw the disc through the line of defending players.